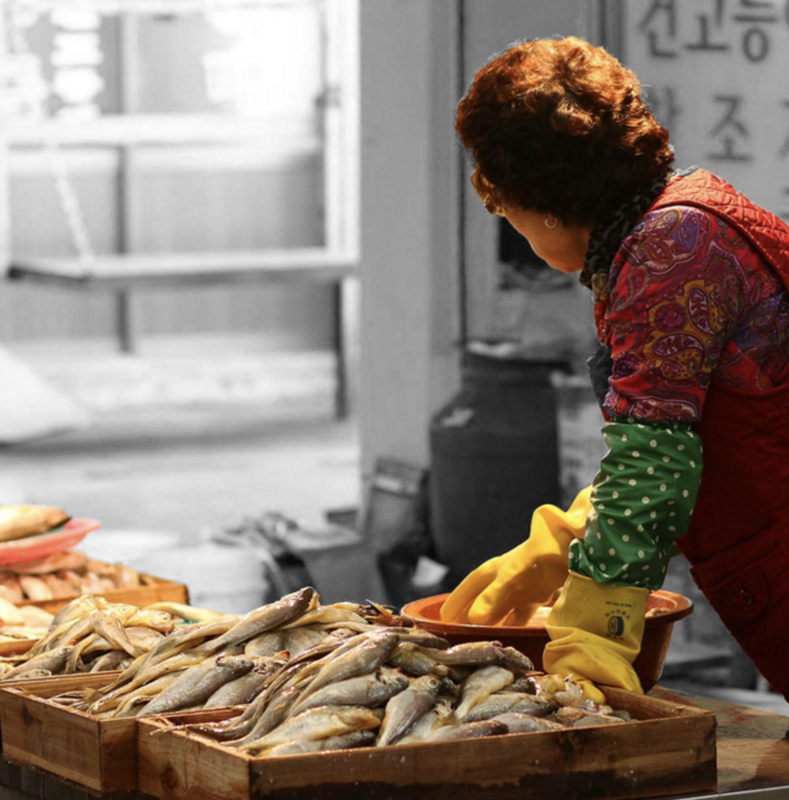 Fish market sector is quite huge even though it is not specialized fish market. It’s like a miniature of the coast of Seogwipo. when watching the marine products displayed in the street stand and fish in the fish tank. It would be nice if you name differnent fish names with your children. 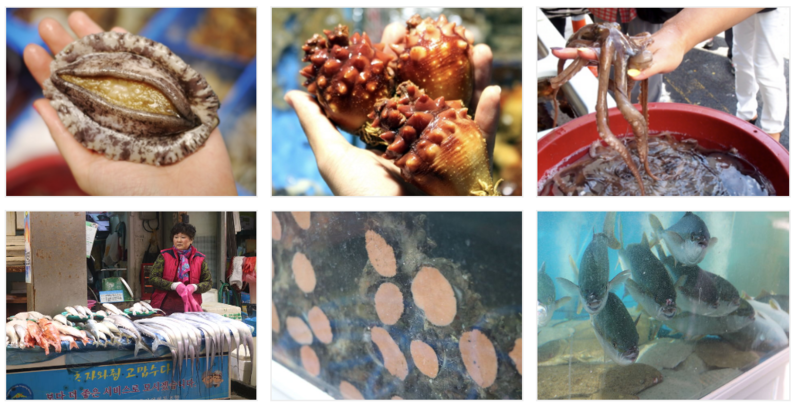 It is recommended to experience live sea squirt, Seonggae, conch and abalone.